Rugged Liner Premium Hard Fold Truck Bed Cover has a sleek tri-fold design, tailgate lock and comes completely assembled. Completely Assembled The Rugged Cover Premium Hard Fold cover comes completely assembled in the box. Hauling Flexibility The Rugged Cover Premium Hard Fold cover has convenient storage straps that allow you to drive with the cover open or closed. Security The Rugged Cover Premium Hard Fold covers offers more security than the traditional soft cover with it's hard panel construction. Use your OEM tailgate lock to provide additional security. Cargo Lights The Rugged Cover Premium Hard Fold comes with two built in LED cargo lights. Easy Install The Rugged Cover Premium Hard Fold has a simple clamp on, no drill, no tool installation and can be installed in 10 minutes or less. The Rugged Cover Premium Hard Fold truck bed cover is made vechicle specific, fitting your make/model perfectly. Constructed from rigid aluminum panels that are sealed together with high density foam in between the panels and with double hinged seals the Rugged Cover Premium Hard Fold is sure to protect your truck bed and cargo from the elements. The Rugged Cover Premium Hard Fold comes completely assembled out of the box and can be installed quick and easily with this clamp on, no tool installation. The two included LED cargo lights are sure to never leave your truck bed in the dark. The Rugged Hard Fold tonneau cover can be installed on your pickup in minutes. It has an easy clamp-on installation. Each product comes with easy to understand vehicle specific installation instructions. COVERAGE: Rugged Liner warrants, to the original purchaser, that the Rugged Hard Folding Cover is free from defects in the material and workmanship. The warranty will void if the product has been damaged by accident, neglect, improper installation or acts of God. Rugged Liner may, at its option, either repair or replace products that prove to be defective. WARRANTY PERIOD: This warranty shall apply for 3 years as long as the Rugged Hard Folding Cover is in the possession of the original purchaser and a proof of purchase is submitted. LIMITATIONS:The above warranty shall apply only if all of the following conditions are met. We will not warranty a Rugged Hard Folding Cover that comes off the truck while driving. 1.Plastic and aluminum parts can be replaced. 2. Call Customer Service for a list of replacement parts and cost. When you are riding with the cover in the open position, make sure the tie-down straps are fastened. CLAIMS: Please call Rugged Liner at 1-800-433-3604. Customer Service will direct you to the nearest distributor. 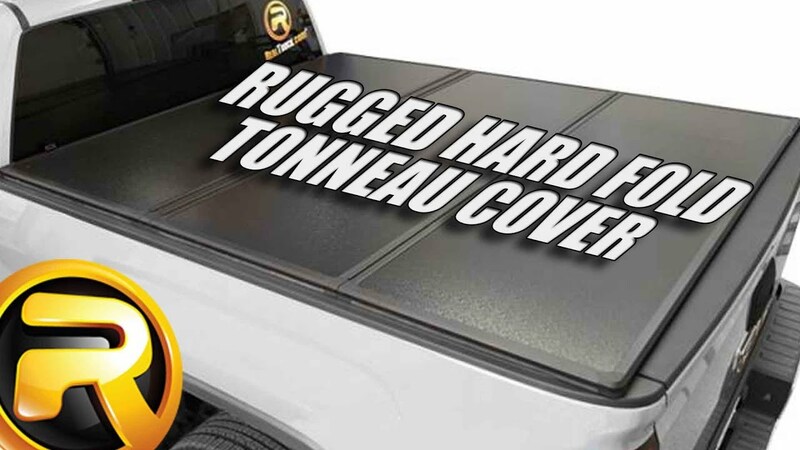 To view the Rugged Hard Fold tonneau cover application guide click here.